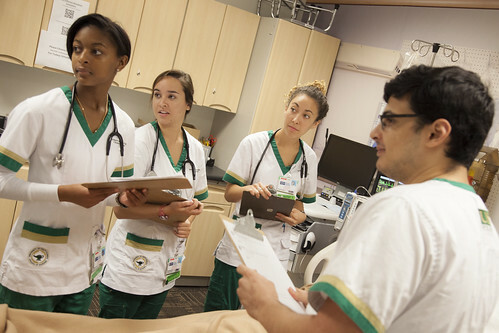 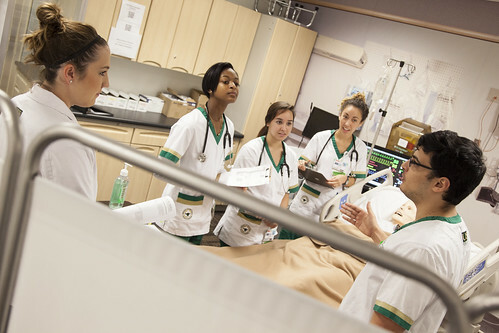 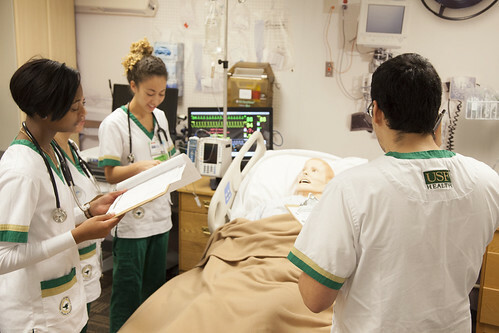 Strengthening the education and training of the nation’s nursing workforce is critical to advancing patient care in an increasing complex health care system. 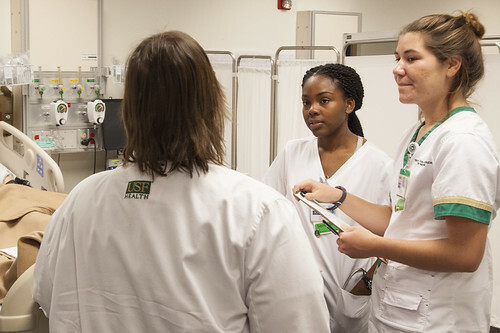 U.S. Rep. Kathy Castor emphasized the importance of highly skilled nurses during her Feb. 13 tour of the newly renovated USF College of Nursing George and Marian Miller Center for Virtual Learning. 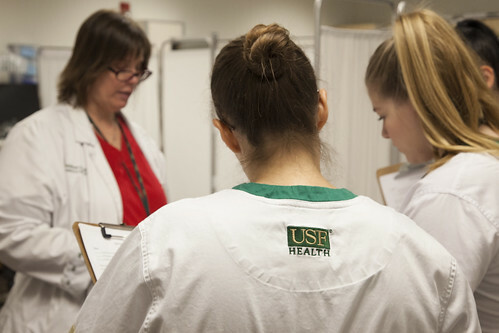 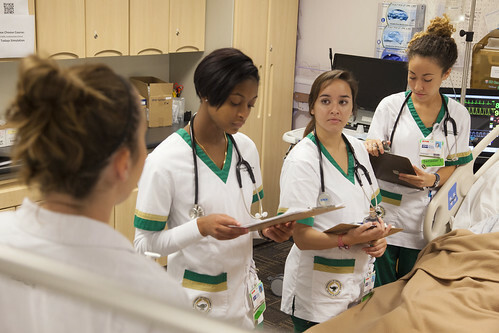 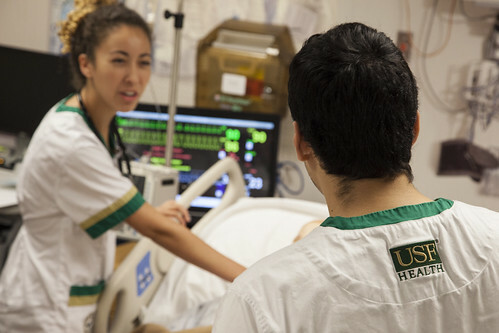 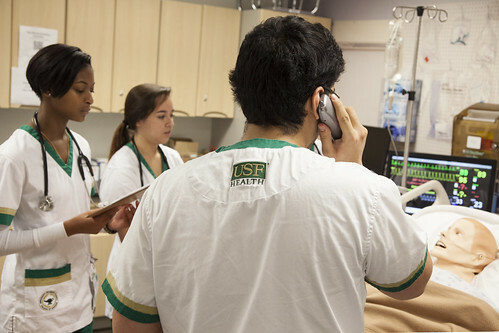 Castor met with USF Health leaders, faculty, students, staff and local media to highlight the Title VIII Nursing Workforce Reauthorization Act that she recently helped introduce in the United States Congress. 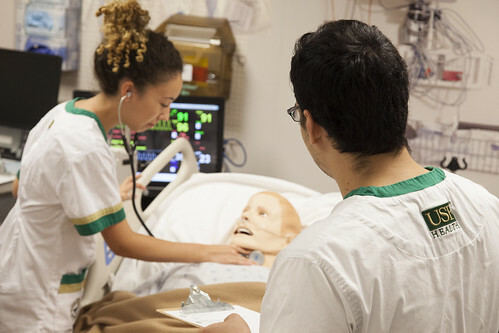 The legislation would provide federal funding for advanced programs and initiatives to help prepare top-quality nurses – enhancing training that addresses an aging population, diversity, primary and acute care, as well as interprofessional education and practice. 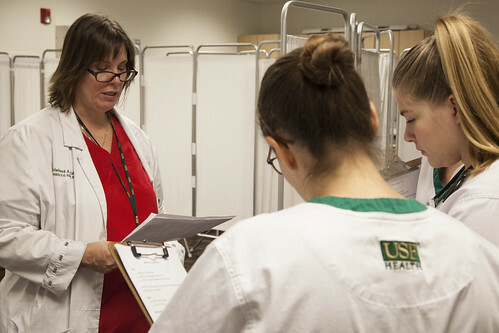 During her visit, Castor toured through the state-of-the-art experiential lab and met with students as they practiced basic health skills learned in the classroom. 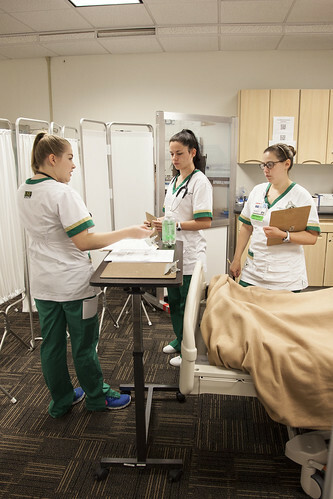 The new space, which includes 12 hospital–like patient rooms, four separate simulation rooms, a skills lab, a community health room and a lab classroom, provides students a more realistic learning environment. 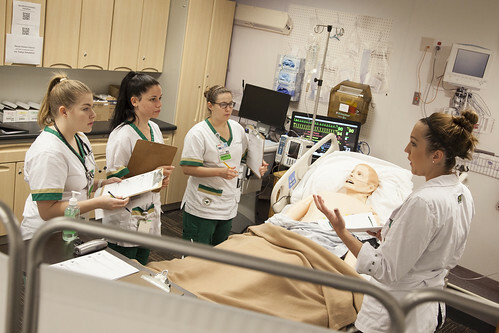 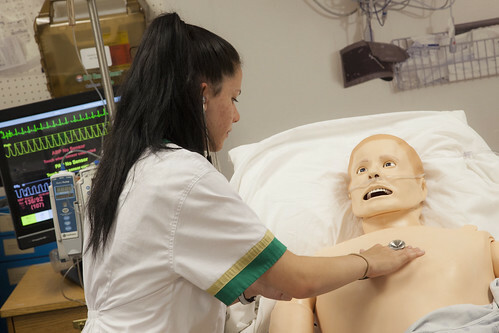 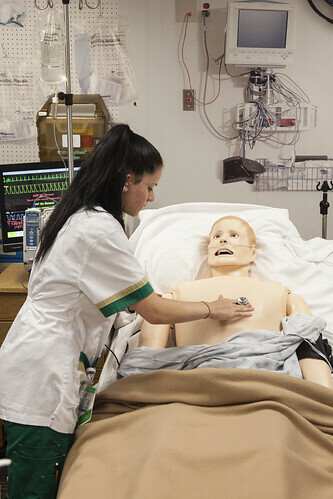 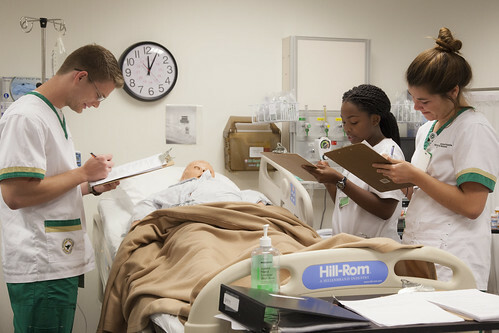 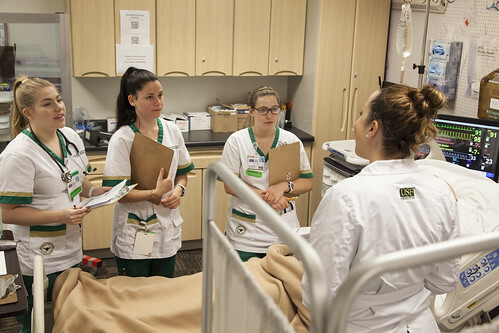 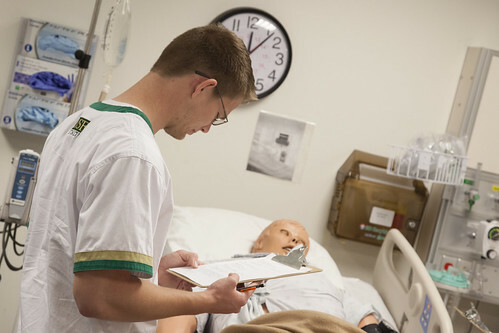 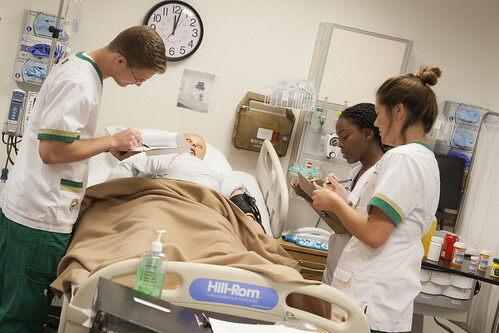 “Our goal was to design a high-fidelity simulation environment where students felt like they’re training in a real-world healthcare facility, and I think we’ve done that,” said Teresa Gore, PhD, associate professor and director of experiential learning in the George & Marian Miller Center for Virtual Learning. 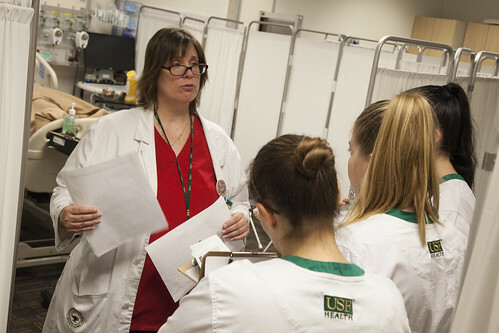 Castor also visited USF College of Nursing on Bull Nurses Week, a student-organized celebration running Feb. 13 through Feb. 17. 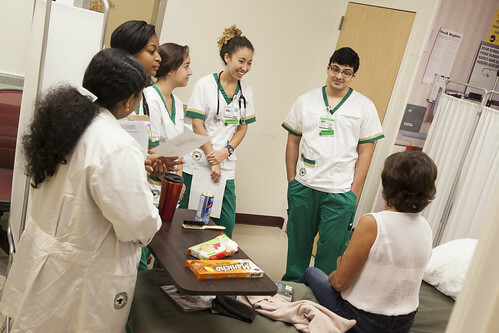 The week-long event recognizes students and their commitment to nursing education, clinical training and community involvement.